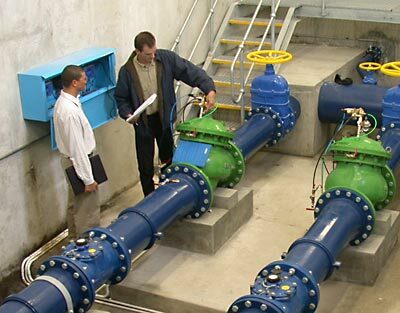 Most Zednet Clients are water supply authorities who use the system to monitor zone inflows and water pressures at strategic points in the system. 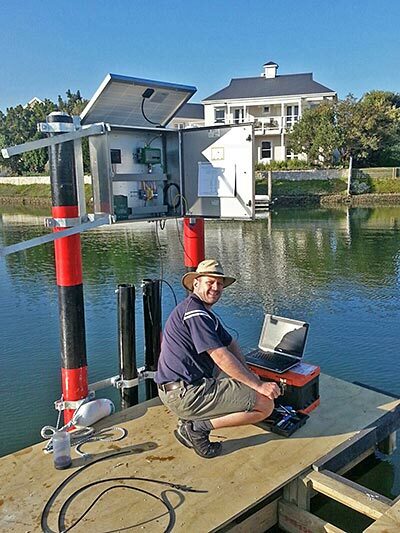 The Department of Water Affairs currently have several hundred installations monitoring the “stage” over river and canal flow measuring stations. In such cases, the height/depth of water over the open channel flow weirs is recorded and a stage/discharge relationship is used to convert between the stage and flow measurements. The Department of Agriculture recently adopted Zednet to monitor irrigation water use in a major irrigation scheme. 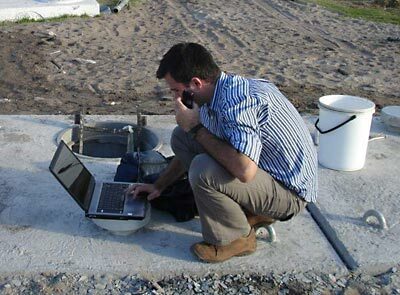 This is similar to normal water meter logging but has certain additional challenges due to the remote areas in which the measurements are made. We implemented a special map based view for their control room which visually updates levels in irrigation channels as data arrives. A range of probes have been tested to measure water quality variables such as TDS, SS, Chlorine etc. Virtually any probe that provides a 4 to 20 mA output is suitable for the system and the main issue is always the power requirements of the probe to ensure that it does not reduce the battery life of the logger. HACH SA now use Zednet to monitor up to 16 water quality measures at each of their stations. We have a growing cohort of bulk consumers - e.g. industries and residential complexes - that are using Zednet to monitor water consumption for management purposes, and to identify any abnormal use or leakage as soon as possible. The ability to aggregate data in a range of formats from more than one logger manufacturer. Data is aggregated online and so available from anywhere via the web, in stead of being installed on a standalone desktop system. Zednet does not require significant product or WDM expertise to use. The system includes forms to document the key assets in the water reticulation system which are of relevance to water loss control – e.g. control valves and meters etc. Pictures and schematics of the valve chambers etc are all captured on this system together with sections of road-maps and satellite images. Multiple metrics can be added/subtracted in real time to create 'virtual channels' - for example to show combined flows into a zone, or to conduct running zone audits. Analysis capabilities to assess Minimum Night Flows etc which assist in identifying areas of high leakage based on the Burst and Background Estimate methodology.